Our journey of having backyard chickens started three years ago when my family surprised me with baby chicks and a chicken coop on my 30th birthday.Then last spring we added three more hens to our flock. 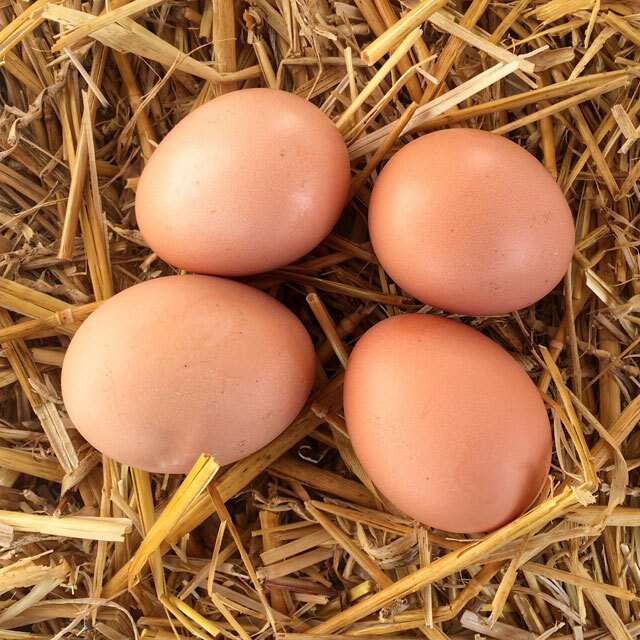 Over that time we’ve figured things out as we’ve gone along and I’ve pulled together a list of our top 8 Essentials for Backyard Chickens. It’s great to have fresh eggs everyday and these silly little birds can be so much fun to have around. I never realized that chickens have so much personality! 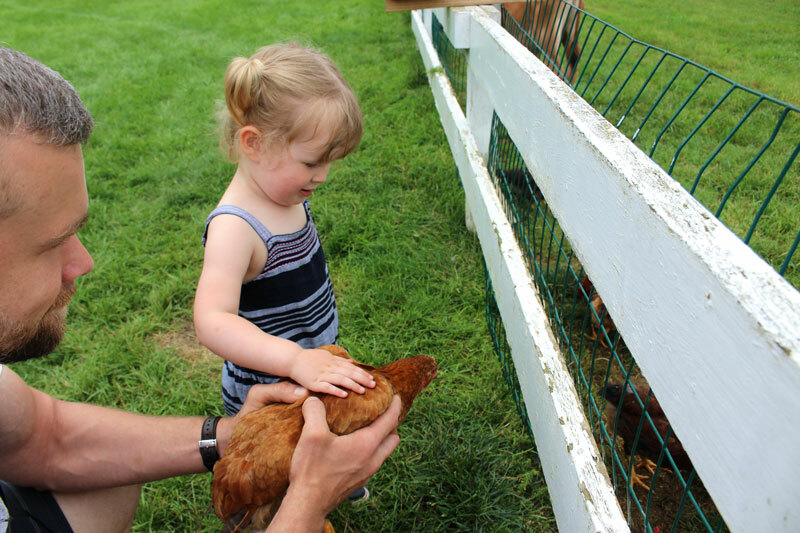 Our two year old daughter Lucy absolutely loves the chickens too and is drawn to them whenever we visit other places as well, like on our road trip to Pennsylvania this summer. One of her favourite “chores” around the farmhouse is taking our fruit and veggie scraps out to the chickens each day. It’s so special to see her getting to have this kind of experience from such a young age and it’s one of the reasons I’m so glad that she’s getting to grow up out in the country. Our chicken coop was a gift from my family for my 30th birthday. 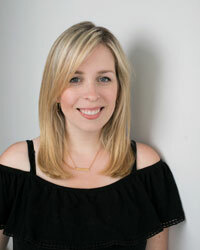 I shared Part 1 and Part 2 on the blog that summer. 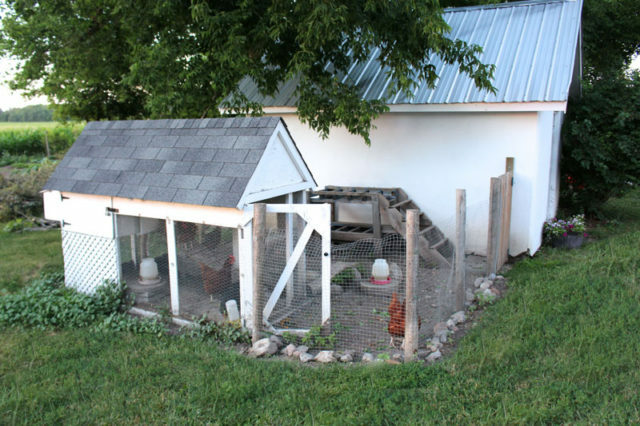 When they designed and built it, they made sure to give the hens lots of room inside for roosts and nesting boxes, as well as an outdoor area below where they can hang out. We open up the main door every day to let them out into the outdoor penned area as well. We have 7 hens (4 Red Star and 3 Black Star) and they all live quite comfortably in the coop together. The most important part of any chicken coop is making sure that it is secure and lockable, to prevent predators getting in. Animals like racoons can easily flip small latches, so we made sure all of ours are spring loaded to prevent them from being easily opened. 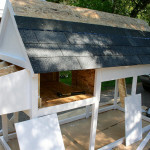 We also wrapped the entire coop in 1/4″ hardware cloth, including digging 12″ down into the ground and adding hardwire cloth underneath the coop as well, and attaching that to the coop too. This prevents predators from digging in from underneath. 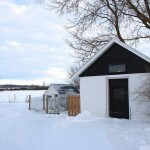 For colder climates like we have in Ontario, it’s important to insulate your coop as well. 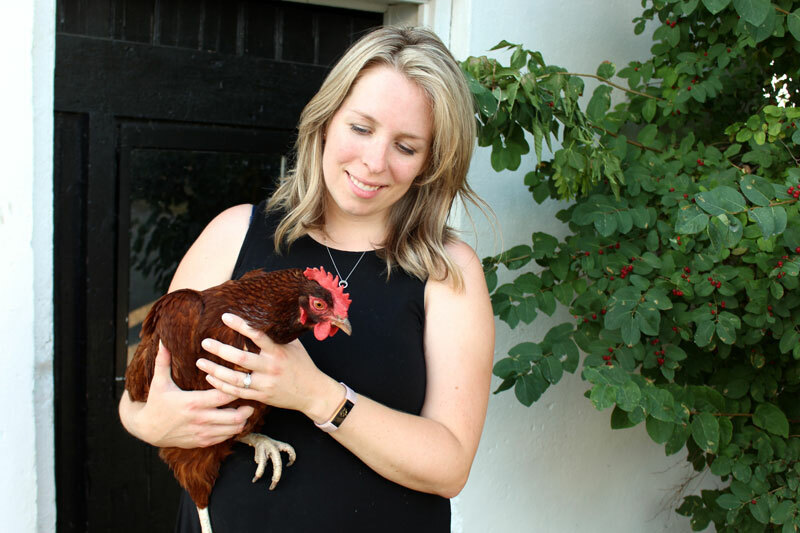 I’ve shared a whole post on Keeping Chickens Warm in the Winter. Inside their coop we use pine shavings on the floor beneath their roost and then put straw in their nesting boxes, but they end up getting all mixed up anyways. 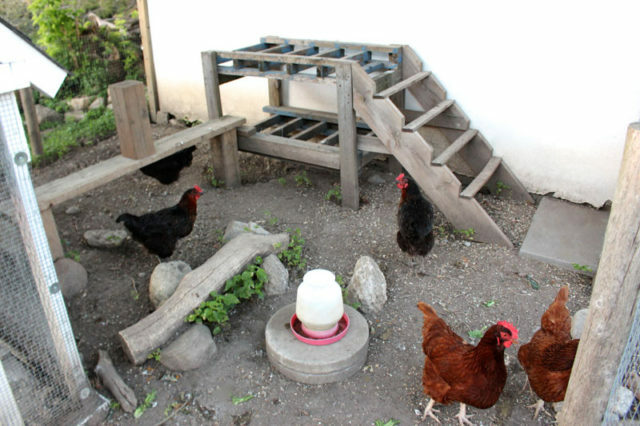 For our seven hens, we have a large waterer and two smaller feeder that we use. In the summer months we put out two of the larger waterers to make sure they’re getting plenty of extra water. 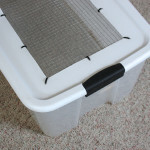 In the winter months, we use a homemade waterer heater made from a cookie tin and lightbulb. Whenever our waterers start to get dirty, I give them a good wash with a vinegar soak to help loosen up any mineral build up. 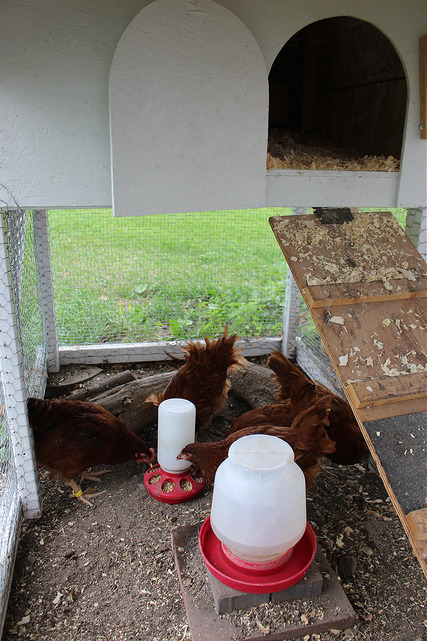 For food, we give them layer pellets in their feeder, along with grit sprinkled in the coop to help them digest the food. We also give them our fruit and veggie scraps from the kitchen (always look it up to see if what you’re giving them is safe!). They get so excited when they see us coming out of the house with their “treats”. This is Lucy’s favourite part and I often safe the scraps if I know we have kids coming by so they can feed them. 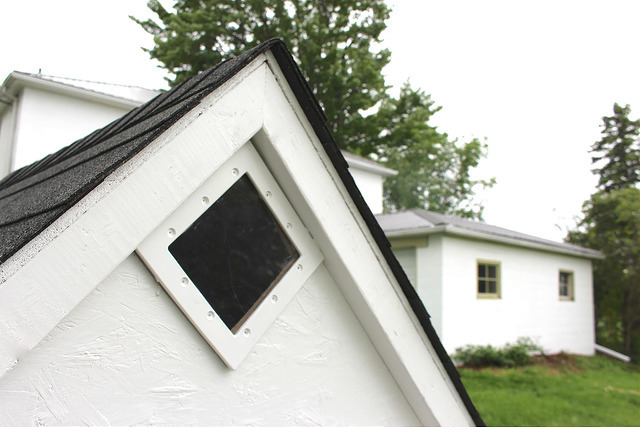 Chickens need 14 hours of daylight for optimal production of eggs, so we made sure to give them a little window (along with their inside hatch being open), to help them know when it’s daytime. This window was an invention of my handy dad – it’s the frame of a pool skimmer with a piece of plexi-glass cut to fit inside. It does the job perfectly! Proper ventilation is important inside a coop not just for air quality and preventing respiratory diseases, but also to help them regulate their temperatures. In the winter months their breath can create moisture inside the coop that will make it colder for the chickens, so even in the winter months we keep their hatch door inside the coop open. If we make another coop someday, I’d like to add even more ventilation for them at the top. 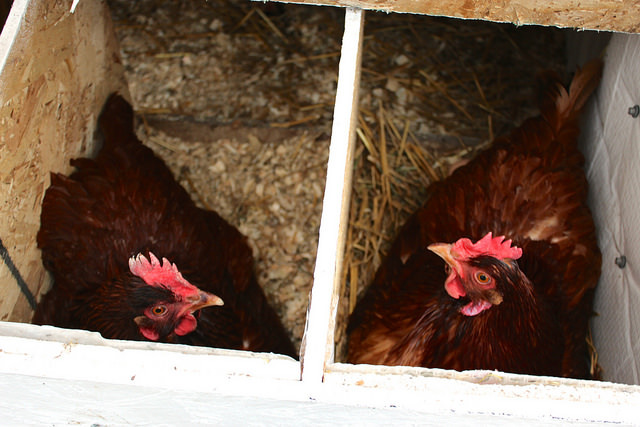 If you want your hens to lay eggs in the same place every time, it’s important to give them nesting boxes. We have three nesting boxes at the back of our chicken coop that all the hens take turns in. It’s so much easier to pick up the eggs from the nesting boxes than hunting around for them in the chicken coop. We line the boxes with straw whenever we clean the coop to give them somewhere comfortable to lay. Garrett insulated ours to keep the chickens toasty in the winter too. The question I get asked the most is “how many eggs do you get every day?”. In the months where we get 12-14 hours of sunlight a day, we generally get one egg from each hen, meaning 7 eggs a day total. During the winter months we’re lucky to get 2 eggs a day between them all. We tried having an artificial light source to trick them to produce more in the winter months, but decided to stop it after one year. 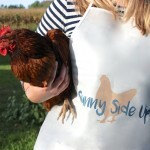 We prefer to let the chickens bodies have a rest in the winter and just buy storebought eggs if needed for that time. 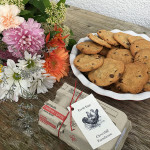 Both types of chickens we have (Red Star and Black Star) do well in our climate, but we try to have things in place to help make them more comfortable during our cold winters and hot summer. 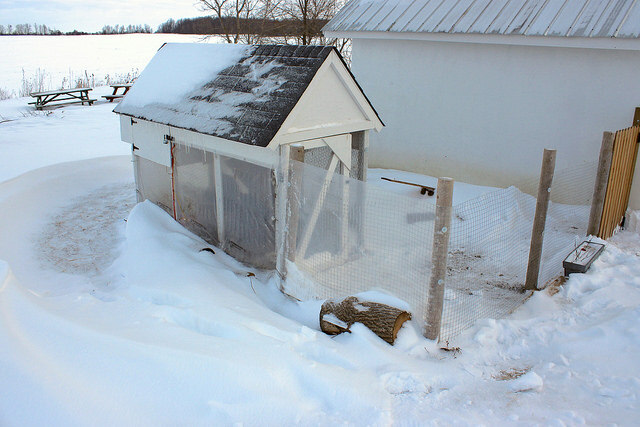 In the winter Garrett staples thick plastic sheeting (or vapour barrier typically used with insulation) along the coop fence and part of the fenced-in chicken run outside. It helps cut the worst of our brutal winter winds up on the hill. In the summer we have a big tree above their coop that provides some shade, as well as growing vines along one wall of the coop to provide shade. 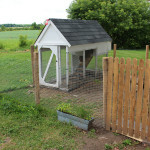 Our coop is built to have enough space for the chickens inside, but we like the idea of them having more space to scratch around during the day. We put these cedar posts in and added hardware cloth fencing all around. We let them run around out there during the day and then lock them back up safely in the chicken coop area before nightfall. They find all kinds of bugs and plants to dig up in the outdoor run during the day, and this is where we give them our vegetable scraps too (they love watermelon rinds, leftover corn cobs and the tops of our strawberries!). They’ve even scratched up odd bits and pieces – old keys, bones, pieces of glass and dishes, milk caps, broken toys. They find the weirdest things out here. Before our flower field was planted up for the season, we were letting the chickens have free range all around the property whenever we we’re home. Now we have to keep them in the contained area of the outdoor pen, or risk them digging up our whole flower field! 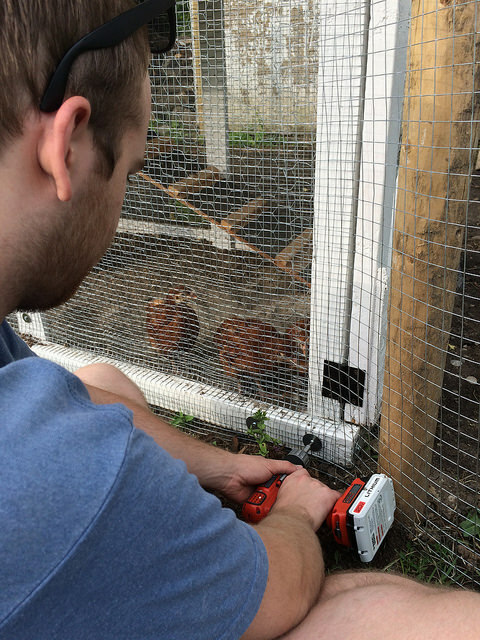 Garrett also likes to make the chickens various jungle-gym configurations to keep their outdoor space interesting. He uses a combination of boards, ladders and rocks to change things up for them every once and awhile. They love using the ladder area as a roost in the daytime. Sounds like a wonderful area for your chickens to live! Lucky them!